When I was a little girl I would watch shows like The Jetsons and marvel at the idea of being able to actually SEE the person you were talking to on the phone. Now that the Jetsons isn't so futuristic as it once seemed, my worries have been laid to rest. 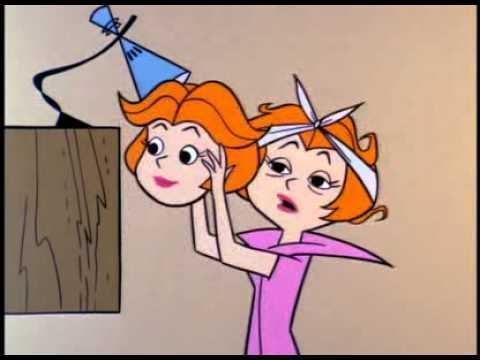 Not every phone call I receive has to be a video call, I don't need to invest in a morning mask, and I (so far) have not had to wear space age collars that are twice as big as my head. Still, the little girl watching TV in 1980 is absolutely amazed that we have such a thing as Skype. And the very best part? Skype isn't scary at all! I use it all the time and it has enriched my life in several ways. Ways I never thought could be possible 35 years ago. We live a couple thousand miles away from our parents and siblings. Sometimes it's really difficult to be so far away, but Skype makes it feel like we are not quite so removed. For instance, the last couple of weeks we've been using Skype to talk to my parents who live in Utah and my brother and his kids who live in Washington state. Since we are a 30-hour drive away from them, it is a wonderful way to catch up and for the kids to maintain close relationships with their grandparents and cousins. And I love that we can do a conference video call so that we are all together, even in three different states! 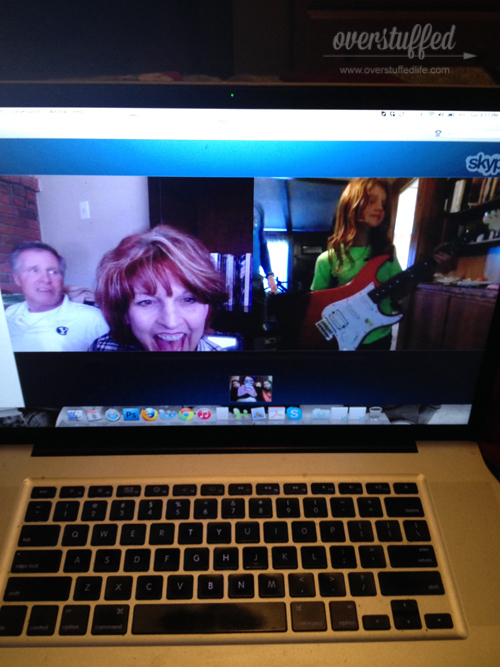 My girls have been preparing for some music competitions, so we used Skype for them to play for extended family. My brother was so excited to see them play that he recorded the Skype session with his phone and then posted the video on social media boasting about his talented nieces. The next week, his kids played their musical instruments for us. Seriously, when would I ever get to see my niece play her guitar and my nephew play his saxophone if it weren't for the miracle of Skype? I have another little niece (pictured in the first photo of the post) who I have only met twice. My kids have only seen her once in person. She LOVES to call us up on Skype every time she is visiting my mom, and I love that she knows my girls and that they know her, even though they are miles apart. It sometimes still blows my mind when I think about it. Having the video is so much better for kids--my girls have a hard time talking on the phone to family members, but give them Skype and they are all over it! Because I live in a more remote area, our choices for medical specialists are not always great. There are some types of specialists we don't even really have up here, and it takes a lot of travel to be seen by the right doctor sometimes. I actually use Skype for many of my medical appointments so that I don't have to travel every time. Skype is perfect for things like learning lab results and follow ups. It obviously doesn't work if you actually need physical procedures done--though maybe that will come along in another 30 years! Every summer, my girls host book clubs with their friends. 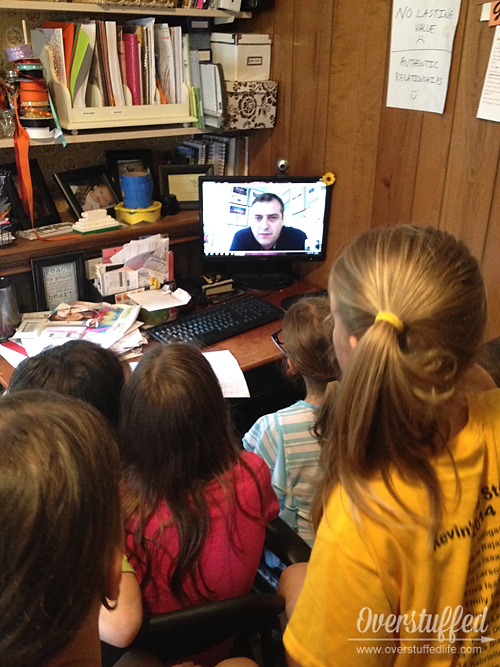 This past summer, we were able to talk to the author of the book we read in person via Skype. The girls were so excited about this and it was the absolute highlight of the book club meeting. I'm thankful to the author who was willing to do so, but without the miracle of technology it could never have happened. They asked him some really great questions (and maybe a few silly ones), and had a wonderful time spending quality time learning with the person who wrote the book they all loved. 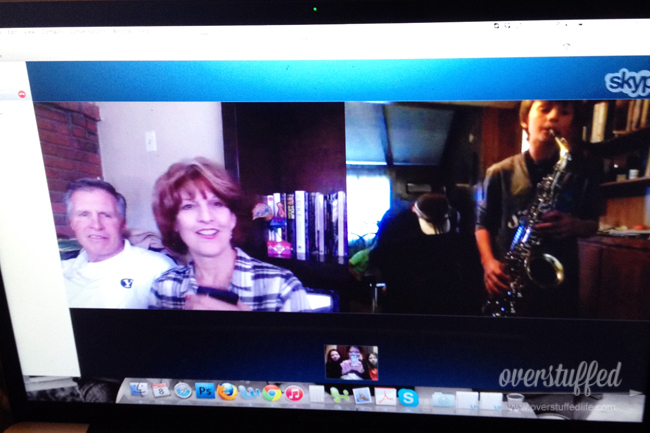 Another cool way I've used Skype is to teach music lessons. There was a while there that I had a handful of students who lived in a different state, and I'd teach them over the computer. I was reluctant to try it when I was first asked, but I found that it was a very effective way to teach voice lessons. The Skype music lessons are something that is happening more and more in the music community. It's wonderful for music students who cannot find a private teacher in their area, and it's also helpful for teachers who are looking for more students. There are literally hundreds of ways Skype can be used to make life better. My favorite is being able to be with my family even though I'm not really there. Find Skype on Facebook and Twitter. How do you use Skype to enrich your life?